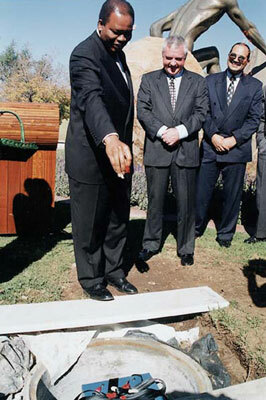 Back in 25 May 1999, people from the Eskom company buried one of our bolted time capsule containers. Eskom is a South African electricity public utility. The government of South Africa first established it in 1923 as the Electricity Supply Commission (ESCOM). The company was also known by its Afrikaans name, Elektrisiteitsvoorsieningskommissie (EVKOM). The two acronyms were combined in 1986. Now, the company is known as Eskom. 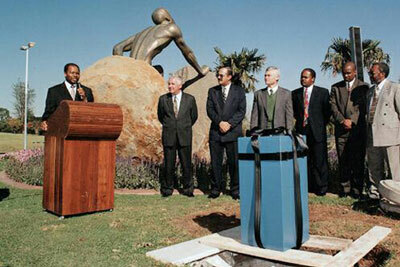 They placed the blue painted Eskom Time Capsule near the Energy Statue at Megawatt Park. Eskom’s Head Office is in Sandton, Republic of South Africa. It contains hope for the future. 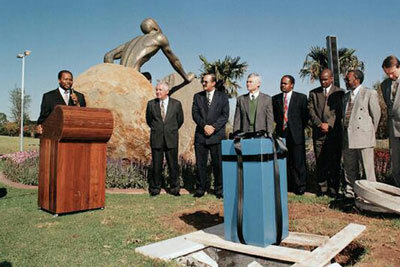 The time capsule is scheduled to be opened on the occasion of Eskom’s 100th anniversary, on 1 March 2023. You can see a video recording of the ceremony. Go to the Megawatt Park Information Centre in South Africa. 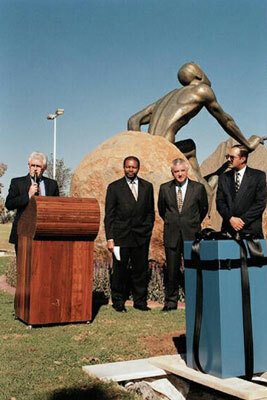 Megawatt Park is the site of the Eskom head office in Sunninghill, Gauteng, South Africa. It includes the Megawatt Park Conference Centre. 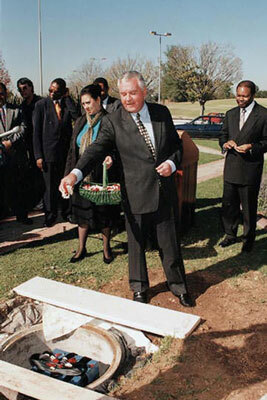 Check out Eskom’s Heritage website for more info. Our customer sent us these photos. 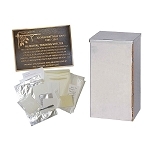 Time Capsule Box holds up to 675 or more documents, photos & artifacts safely. Ships promptly (1-2 days). 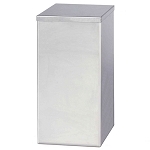 Large Stainless Steel Time Capsule Box holds up to 600 items or more! The capsule & kit ship promptly.